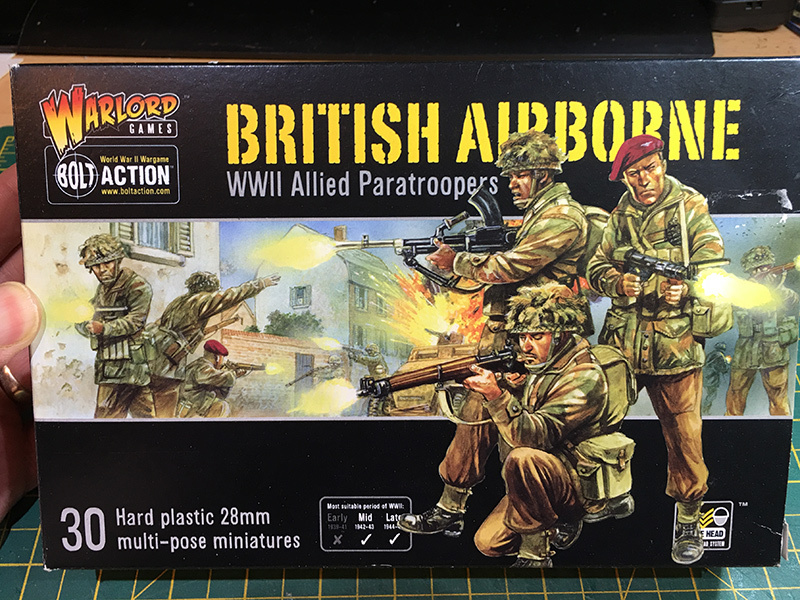 As if I haven’t got enough troops in the worklist, I’ve added some British Paras. 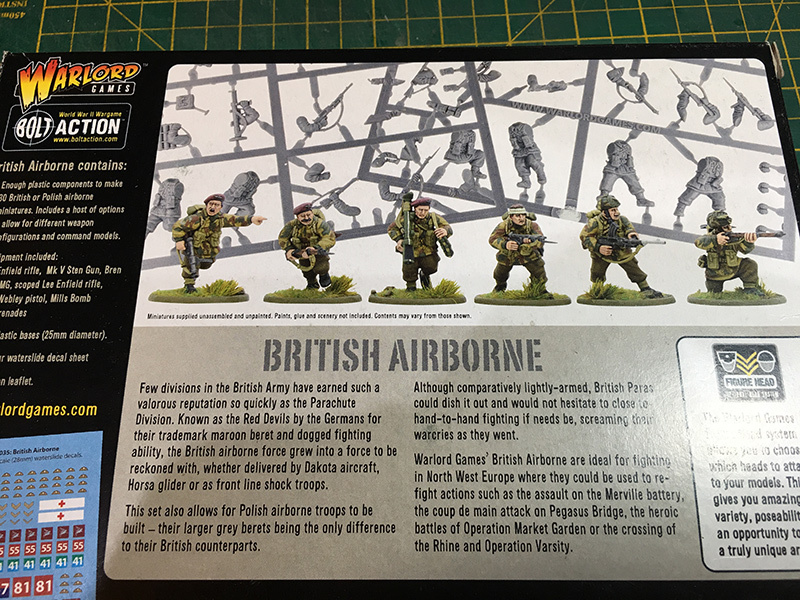 I got a box of warlord’s plastic paratroopers a few months ago and whilst I was at Lost Ark Games, I picked up another box; I usually have at least two boxes of troops per army. You get 30 figures in the box and the moulding is up to the usual good standard for Warlord. 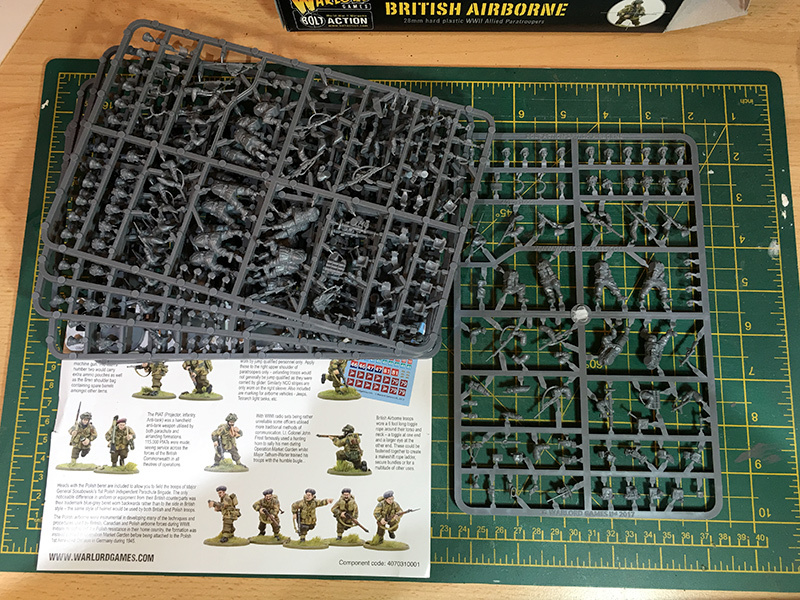 You get five identicl sprues of figures and a couple of sprues of 25mm circular bases. 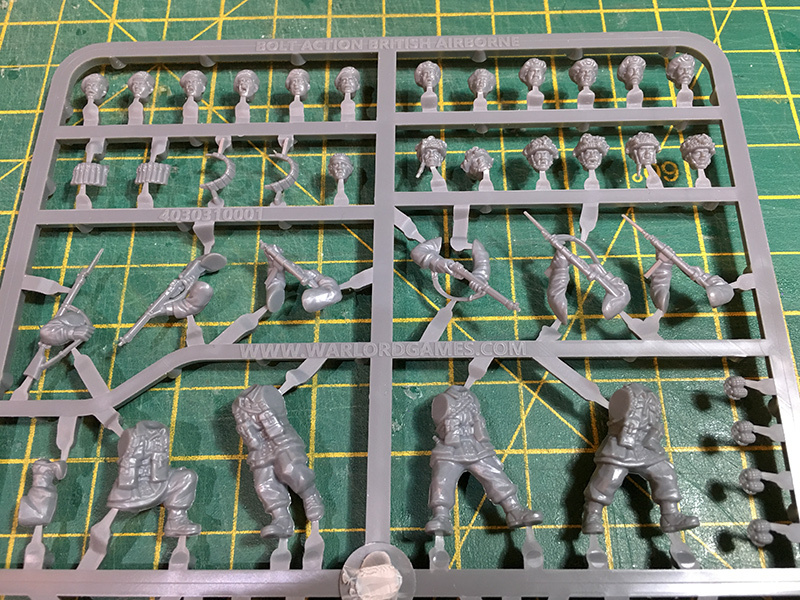 Each sprue comes with six berets for British and six for Polish paratroopers, plus 6 helmeted heads and one bare head. If you don’t like adding two arms and a weapon, there are five sets of moulded arms and weapons, which makes building a little easier and quicker. There are few separate arms and weapons. Talking of weapons, you get Lee Enfield rifle, Sten gun, Bren Gun LMG, PIAT, pistol and grenades. There is a scoped Lee Enfield but it comes attached to an arm holding it rather than in a firing pose. I’ve not built them yet, but you can see the unboxing video below.